Intel® Desktop Boards use a front panel header with a 9-pin chassis. Intel® Desktop Boards also include an alternate front panel power/sleep LED header. 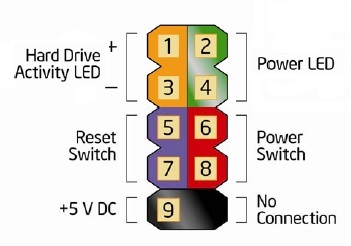 Use this header if your chassis provides only a 3-pin connector to the front power LEDs.